Have you driven a 1970 Chevrolet Chevelle? 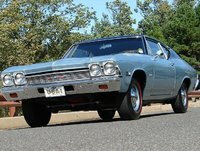 Displaying 1 - 10 of 40 1970 Chevrolet Chevelle reviews. Ss 396 — This is all steel,back when cars were made of pure steel.Like they said,there is no substute for cubic inches.No ECM no computer brain,if you got fuel and spark it will start and run all day long.You will have to put fuel in this bad boy,back then who cared about fuel economy! 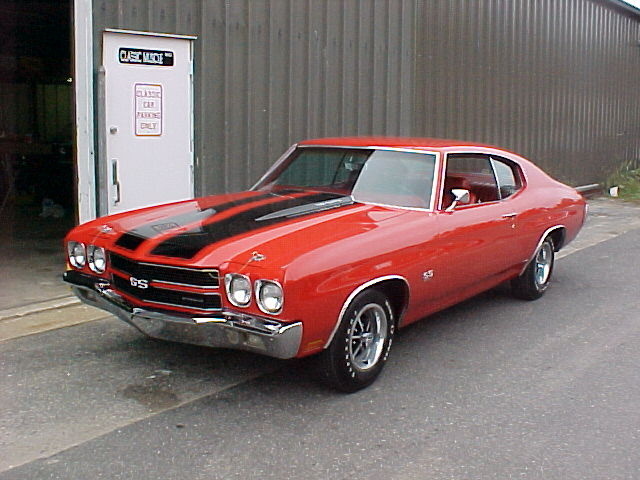 Looking for a Used Chevelle in your area? CarGurus has 346 nationwide Chevelle listings starting at $29,988. 1970 Chevelle Owner Comments — Whats not to like? Great performance,full frame suspension, styling sedate but very well done,4 speed,air conditioning I also own a Corvette C5 Vert and its every bit as fun to drive and own. 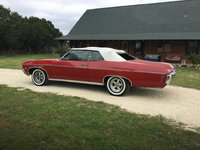 I have kids and have a great musclecar with a rear seat for cruises,shows etc. Head turner absolutely everywhere. The 70 has it all. I also had a 69 SS Camaro 4 speed and the Chevelle is far superior. On a long trip the ride quality is fantastic. A garage is a must and the more you drive it the better it is! What is interesting is the ones that have 2 or 3 musclecars and keep their Chevelles the longest. My 70 Ss396 — Great car . Out of all the cars I've had I wish I still had this one . Performance was good . Build quality inside and out was good. Handing wasn't to bad with front and rear sway bars . Braking was good with power disc brakes . Pros: Great looking car . Idk Bout No Bottom Line — LOUD!!!!!!! needs tail pipes and a little bit more tlc. needs the rest of the ss package trim to look like a complete 1970 ss. LOVE, LOVE, LOVE this car. can beat most any car on the road. 430 horses of pure muscle. 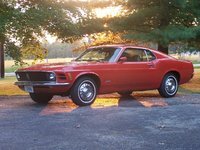 If You Can Find One In Good Shape, Great, But Few 1970 Cars Are Much Good As Daily Drivers. — Performance: 307 V8 plus Powerglide was adequate, no tire-smoker. Build quality: Whatever came from the factory was solid, whatever was put together in the driveway was our own fault. Appearance: Had a '71 nose on a '70 body with primer on front clip. Ran nice but looked like a hooptie. Cost of ownership: Next to nothing thanks to a pile of spare parts left over from the reconstruction. Fun factor: It ran. For a 19-year-old, that was fun enough. Pros: Always loved the looks and if you set it up right, a nice drive. Cons: Watch out for rusty frames. Rags To Riches — This car I bought from someone who had it in their front yard for who knows how long. It was in horrible shape but I got it real cheap and I wanted to fix it up and personalize it. It's an amaizing car absolutly stunning!